Green Mountain Grills, Grilling, Grills. Cooking Area: 658 sq in. 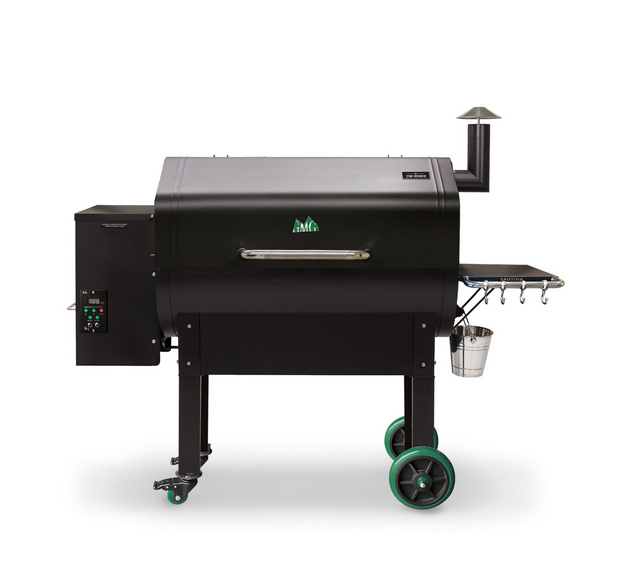 The Jim Bowie Prime model comes with a redesigned digital controller with dual meat probes and a USB port. Our 13.5 in. peaked lid provides enough space for a stand-up chicken to 7 racks of ribs. Keep all of your grilling tools handy by hanging them on the utensils hooks of the side convenience tray. 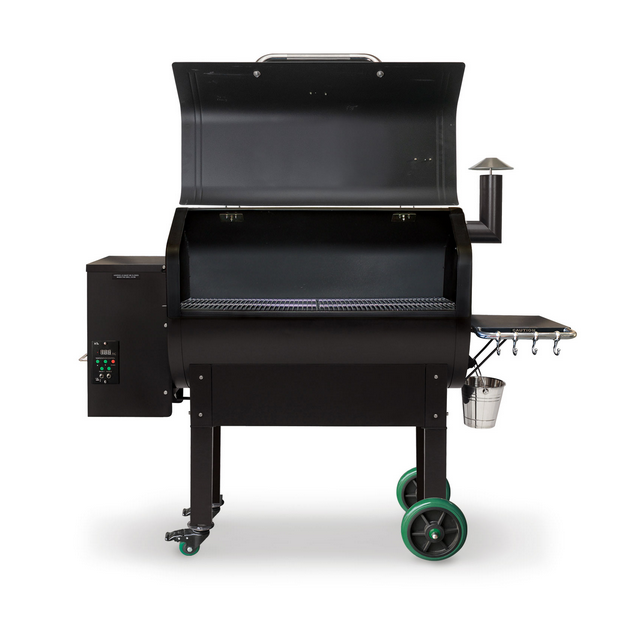 All of our grills have a venturi-style firebox for that creates a cyclone flame that ensures maximum combustion. They also has Sense-Mate, a thermal sensor which constantly monitors the ambient temperature. When the weather gets cold, the sensor kicks the grill into Turbo mode, so you don’t have to wait long for the grill to heat up. Other features include Keep Warm mode and Fan Only mode with automatic shut-off to blow ash out of the firebox after you finish grilling. This is a hearty blend with tons of flavor. You can’t go wrong with it on steaks, tenderloins or hamburgers. It’s bursting with a bold taste perfect for beef.